Soft tender gyudon (beef rice bowl) from Yoshinoya was what I opted for whenever I need a quick and a healthier choice of meal in the mall. However, it was once disappeared away. Glad to see that Yoshinoya is back in action now, partnering with Hanamaru Udon under the same roof, offering a better options of dishes, be it don (rice bowls) or udon (thick wheat flour noodles). Japanese Beef Bowl (Rm 9.8 for regular portion, Rm 11.8 for large portion). 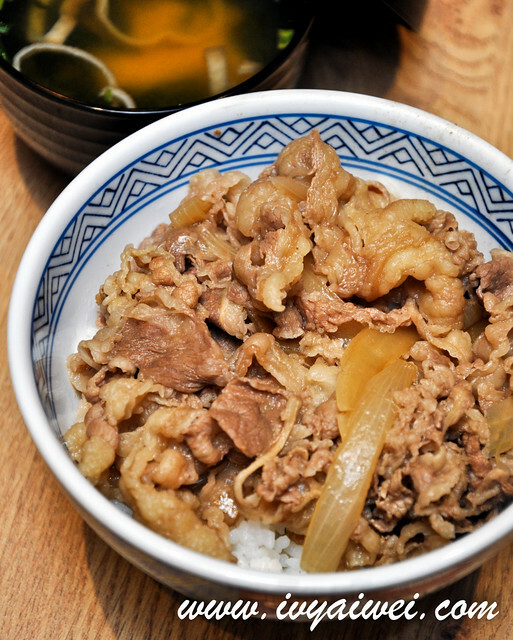 Yoshinoya is the the oldest and largest restaurant chain for beef bowl, with over 1800 outlets around the world which Japan, US, Hong Kong, Taiwan and Singapore. 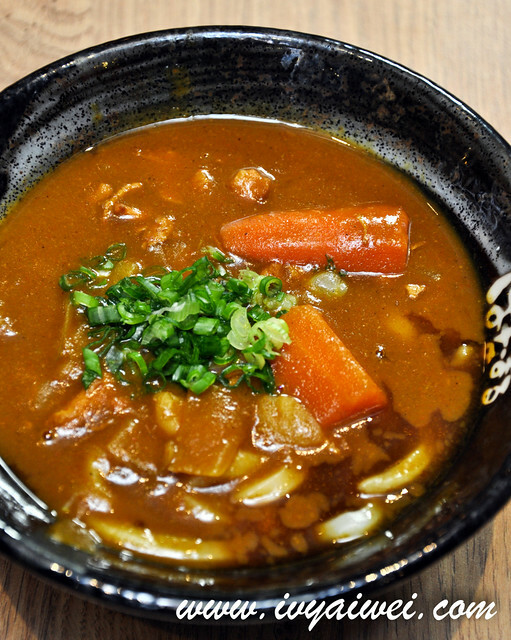 Their house’s signature, gyudon (beef bowl) is made of imported tender beef slices prepared with savoury broth that is flavoured with herbs and spices, laced with onions for the sweetness and served on a bed of fluffy Japanese rice. おいしい! 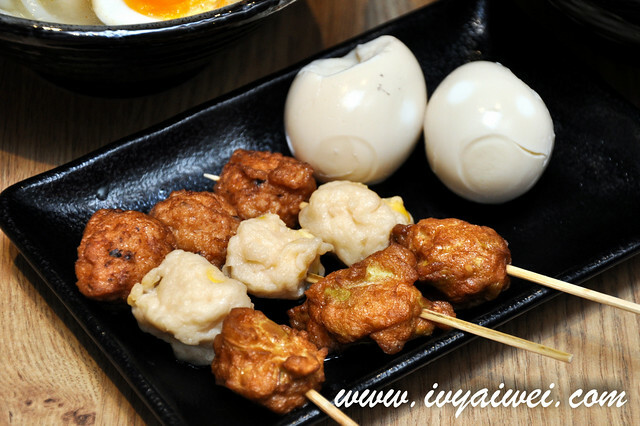 Not a fan of beef, there is always chicken to choose from, and even curry rice bowl and vegetable rice bowl are available too. 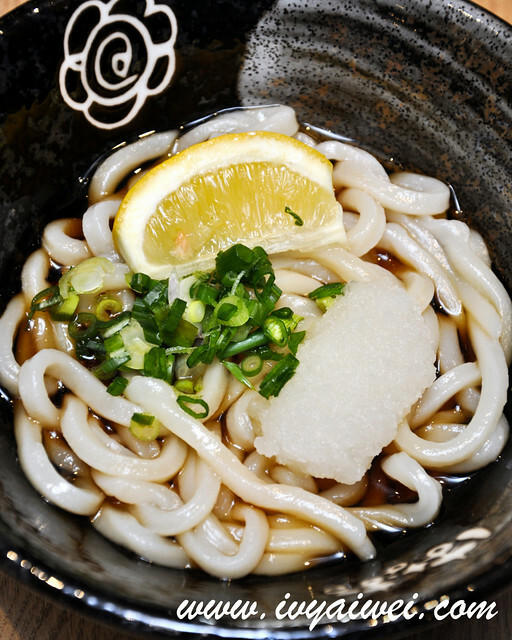 Another one sharing in this premise is this Hanamaru Udon which is specializing in sanuki udon, founded in 2001 in Takamatsu of Kawaga Prefecture where it is the famous home of udon. 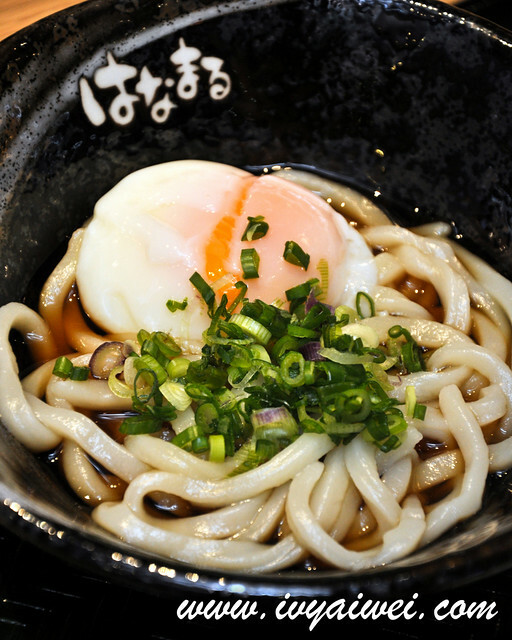 Udon here are made fresh daily with high graded flour. 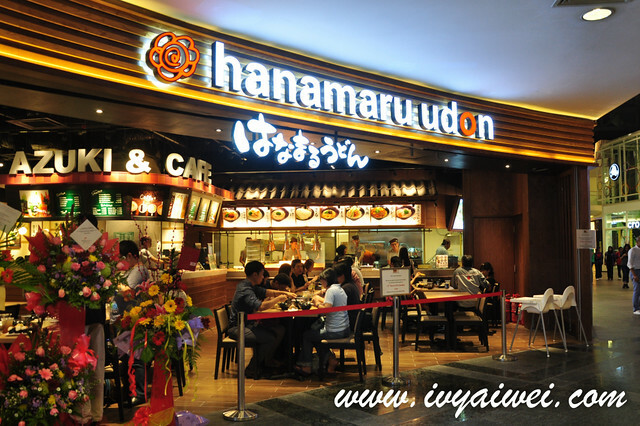 Like the usual fast food chain, Hanamaru Udon practices the self service concept where patrons will have to grab the tray, order from the preparation counter, pick up any side dishes of your choice and pay before enjoy! 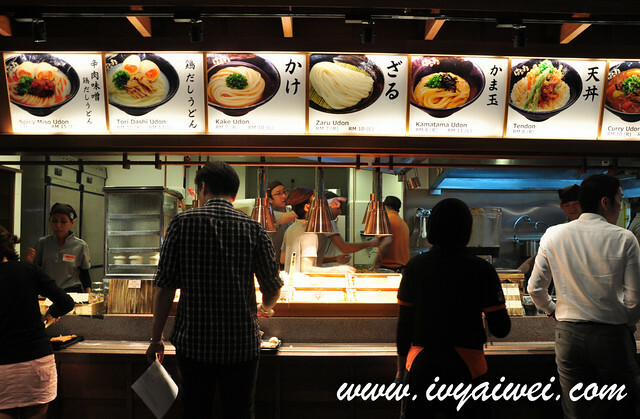 There are a variety of udon to choose from; standard, chef’s specialty and chicken soup udon. Pricewise, they are pretty affordable. 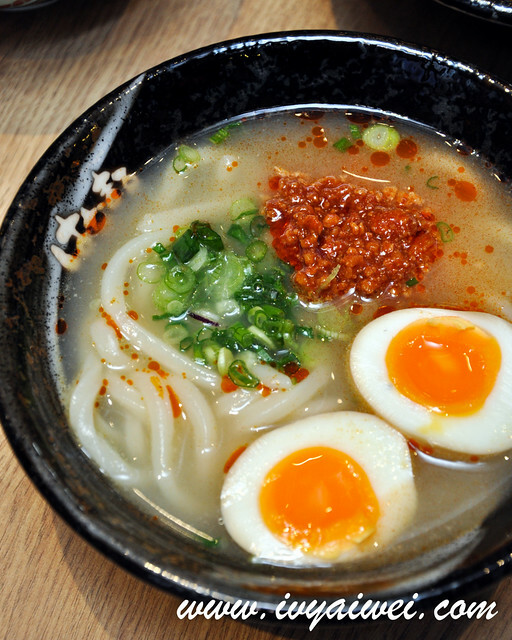 Starting from Rm 7 for the basic udon, Rm 8 for the standard one, Rm 10 for chef’s specialty and chicken soup based udon. I do love the udon here. 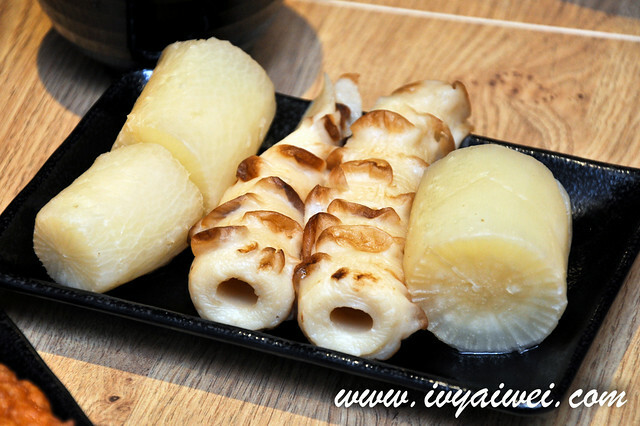 Each strand of the thick noodles was laced with the chewiness texture. Also, the noodles are freshly made and prepared. In order to serve the tastiest noodles, they never keep their cooked noodles longer than 30 minutes. Curry Udon (Rm 10 for regular; Rm 13 for large portion) was richly flavoured, aromatic and creamy. Salad Udon (Rm 10 for regular; Rm 13 for large portion) has got my vote. 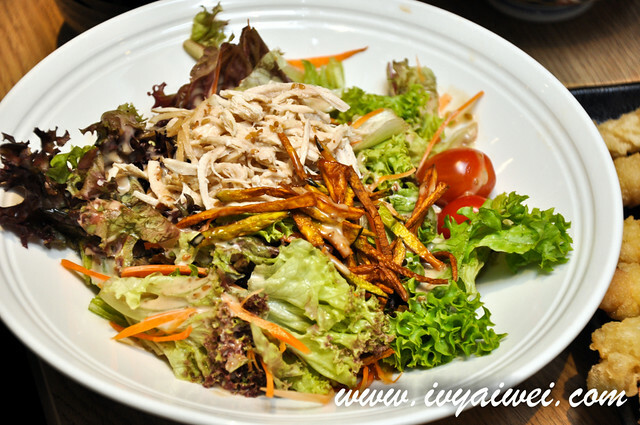 Love the dressing sauce drizzled over the salad and the cold chewy udon underneath. 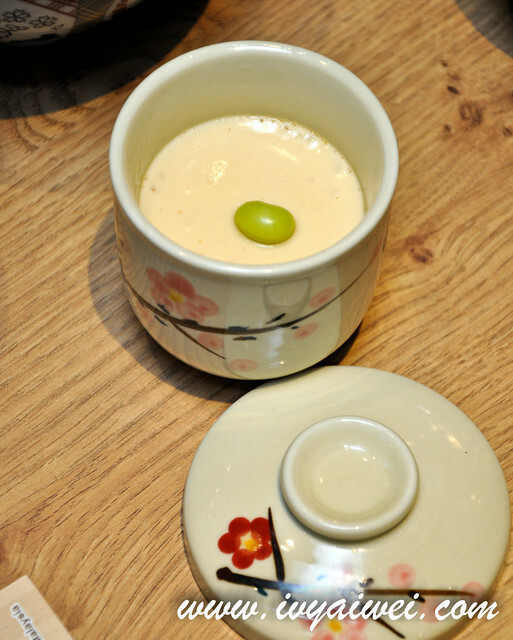 Give everything a stir for a well balance flavour- fragrant, sweet, savoury, and chewy. 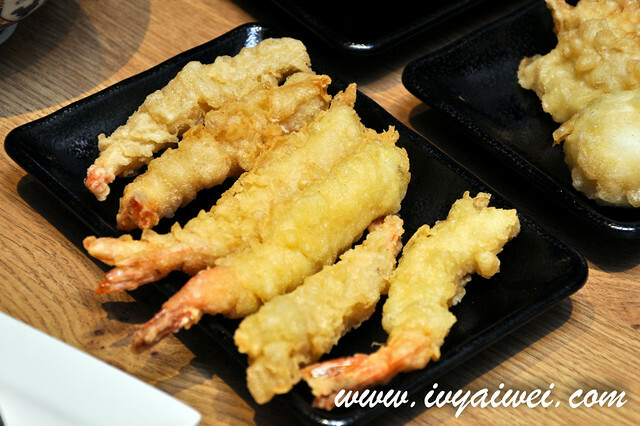 ebi tempura, karaage, oden… ebi was pretty huge and evenly battered before deep fried into perfection. 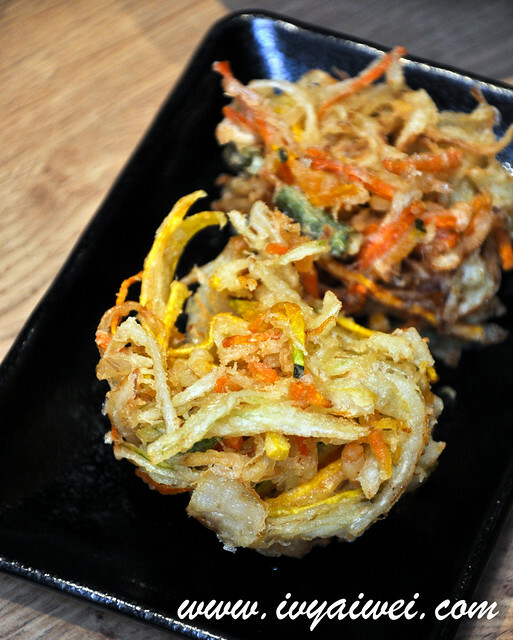 I love the gyudon here… so yummy! I love the gyudon here, so yummy! I love Gyu-udon. 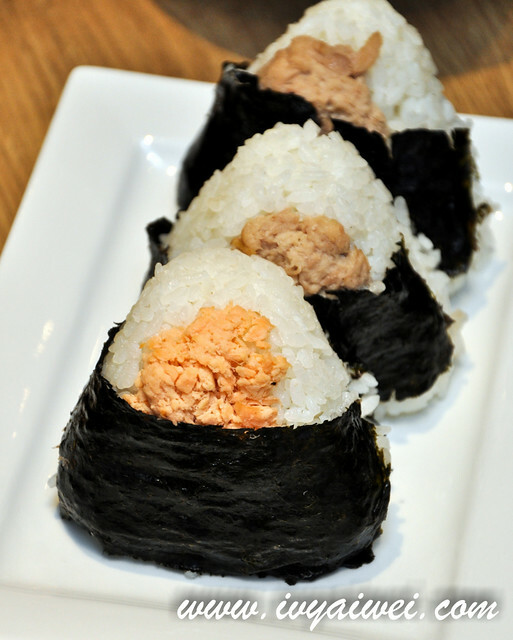 Yummy~!!! I love coffee also, but do not know why the staff say their Coffee is only black, milk is not provided. It is not acceptable. If they like to do Japanese style, they should provide “sugar & milk” whether customer need or not. How do you think?